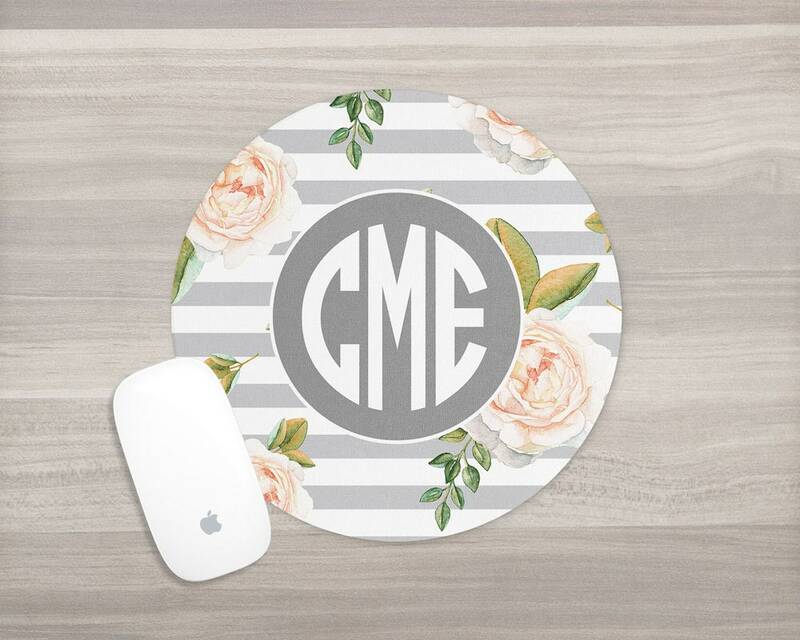 Spruce up your desk with a personalized mouse pad in your choice of patterns and colors! 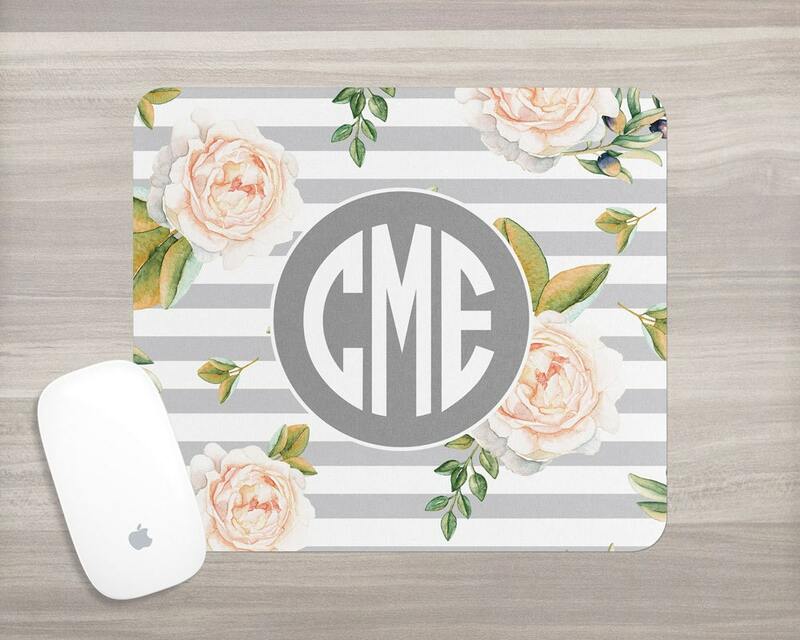 Perfect laptop or computer accessory and makes a great gift for students, teachers, or professionals. Rectangle - 7.75" x 9.25"
Mouse pads are constructed of durable polyester that stands up to wear and tear. They are a full 1/4" thick (not the thin 1/8" ones) with a heavy rubber backing that prevents slipping. 1. 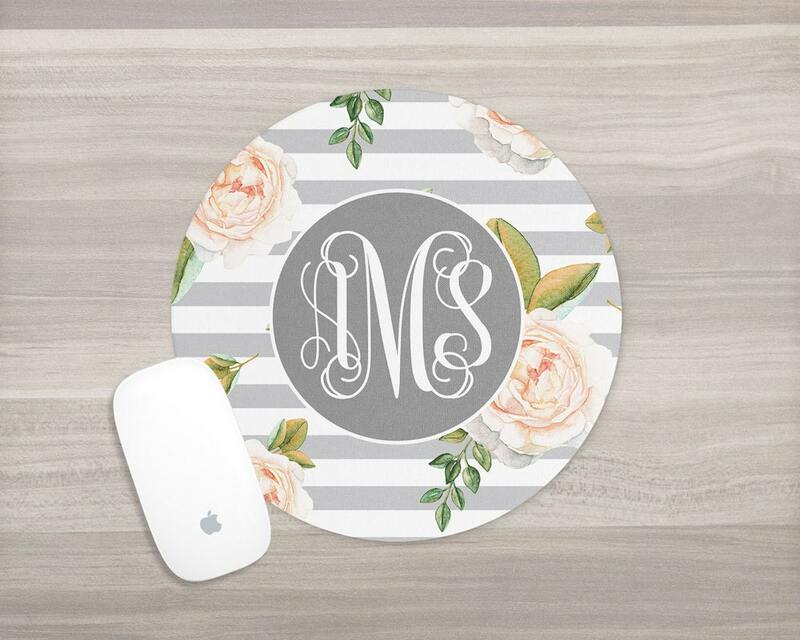 Select your mouse pad shape and monogram style from the drop-down menus and click "Add to Cart." 2. 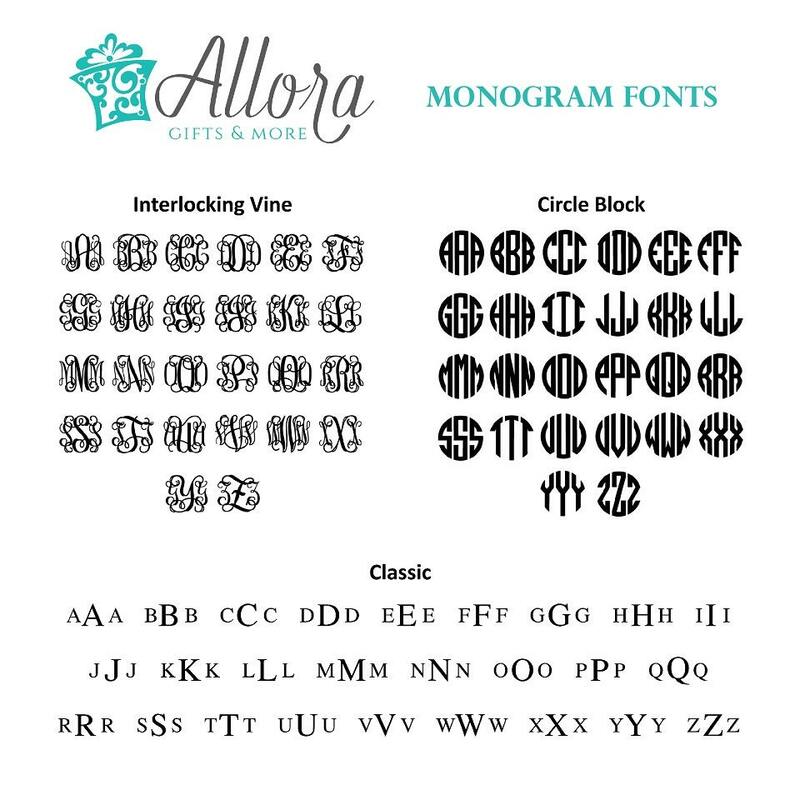 List the initials you would like in the note to seller box in the shopping cart. Initials should be listed in monogram order: "first, LAST, middle" (example: Anna Marie Smith would be written "aSm").